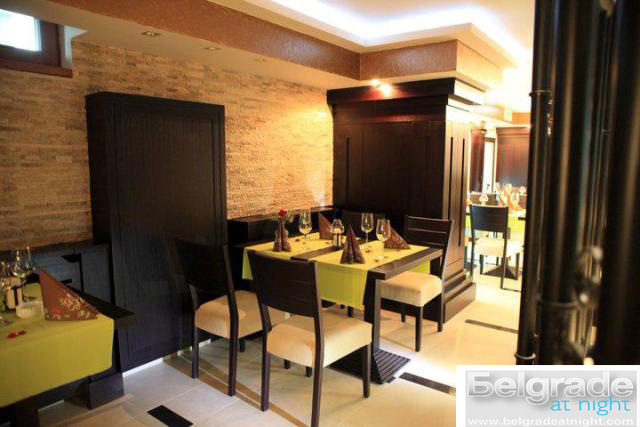 The restaurant is situated only 10 minutes from city center at Lekino Brdo. Spacious, modern style with a beautiful garden, which has been successfully isolated from street noise, offering to enjoy various dishes. Menu designed to satisfy all tastes, contains a number of pastas, risottos, pizzas, seafood, barbecue and other specialties with meat (turkey, chicken, steaks).